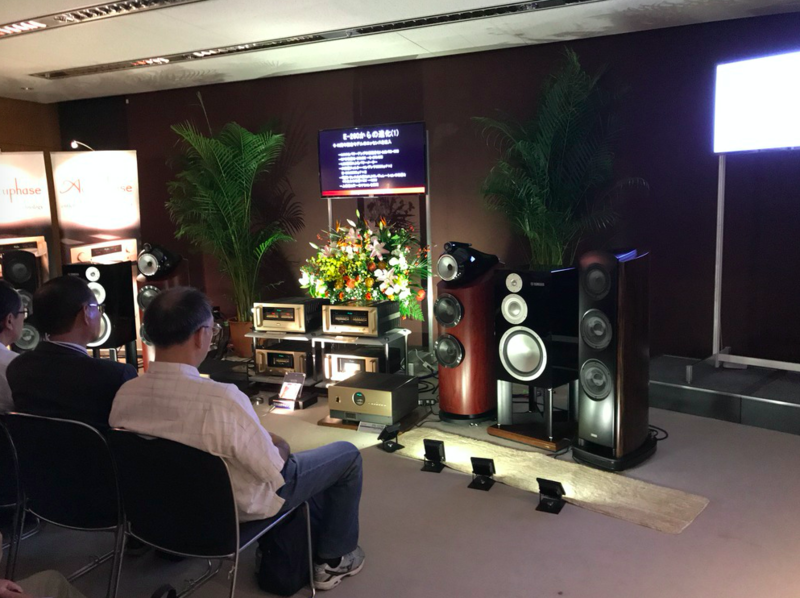 This was my first time attending the famed Tokyo International Audio Show (September 30 to October 2), and I’m glad that I saw firsthand this shining example of what an audio show can be. For starters, there’s the spectacular venue of the Tokyo International Forum, It’s an architectural masterpiece, exudes an upscale vibe commensurate with the products being shown, and offers isolated listening rooms with outstanding acoustics (the listening-room doors are like those of recording studios, for example). 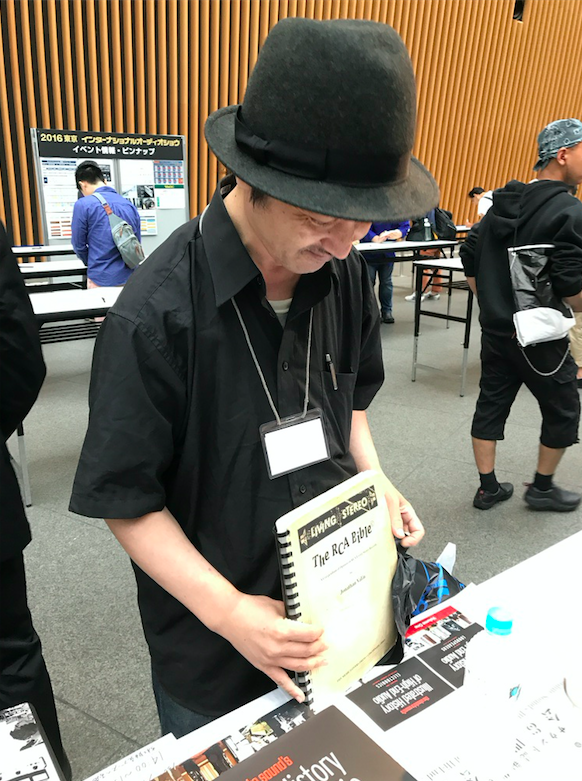 The show is very exclusive by virtue of its invitation-only status; the International Audio Society of Japan chooses who may exhibit. The IASJ, first created in 1983 and then reorganized into its current form in 1997, is a group of distributors who work together for the common good of the industry—such as putting on a world-class audio show. This year, 192 brands were represented by 32 distributors and manufacturers, and were seen by more than 10,000 attendees. Jonathan Valin, Julie Mullins, and I attended not just to cover the show, but also to sign copies of The Absolute Sound’s Illustrated History of High-End Audio in conjunction with Stereo Sound magazine. 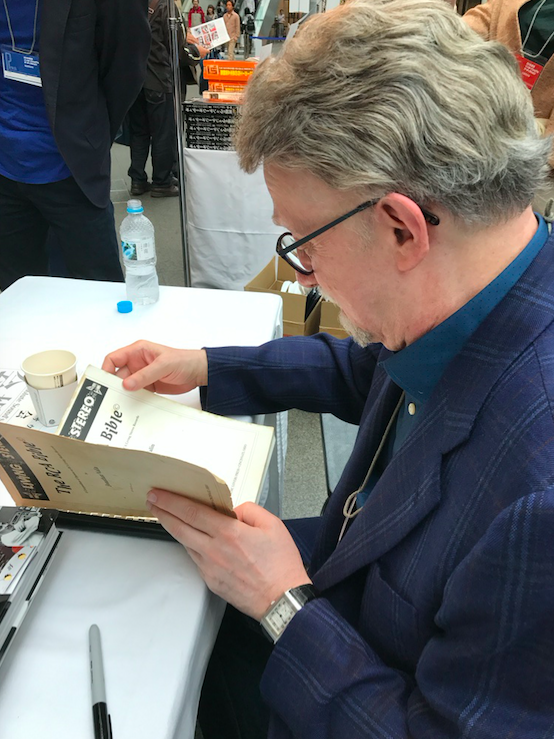 While at the signing table, a man walked up holding a dog-eared and well-worn copy of Jonathan’s masterpiece, The RCA Bible. This book, published briefly in 1994, is an insightful and encyclopedic account of the great RCA recordings, in repertoire, performance, and sound quality. I believe that only about 1500 copies were ever produced. The book’s owner heard that Jonathan would be at the show and came to have Jonathan autograph his treasured copy. It was a delightful moment for everyone. Jonathan and Julie will have a room-by-room account of the show’s notable exhibits so I’ll focus on a few key product introductions. 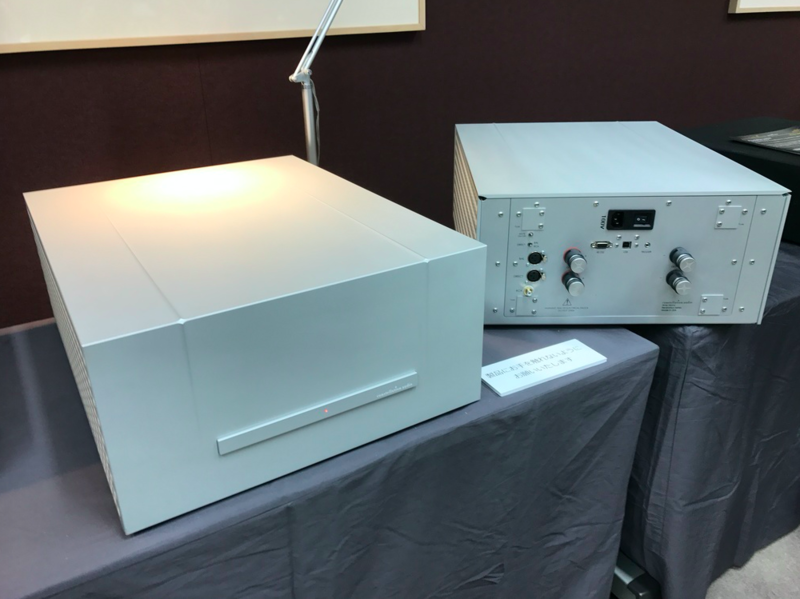 Yamaha has a long history of loudspeaker innovations, and even introduced the first speaker with a beryllium driver (the NS-1000 in the mid-70s). The company was also the first to develop carbon-fiber drivers (the NS-2000 in 1982), and has long employed in-house written software for computer modeling of enclosure resonances. 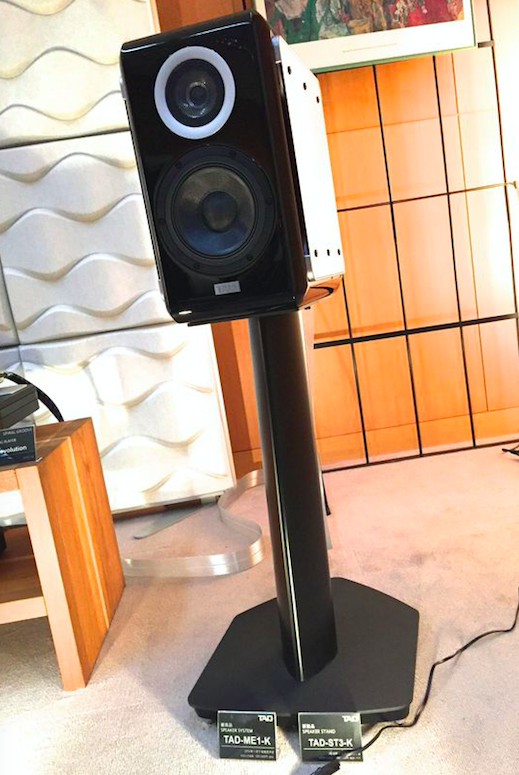 Yamaha speakers (particularly the NS-10M) are fixtures in recording studios. All that history puts the new NS-5000 in perfect context. This all-new three-way, stand-mounted flagship is the culmination of an eight-year R&D effort. The driver diaphragms are made from Zylon, a synthetic fiber that is extremely stiff, light, strong, and heat-resistant. A 1.5mm strand of Zylon can lift one metric ton. Significantly, all three diaphragms are made from Zylon to remove the possibility of tonal discontinuity that can arise from drivers of different materials. The woofer is a 12" unit coupled to a 3.25" dome midrange, with a 1.25" come tweeter. The drivers are also notable for a highly unusual (and patent-pending) “Resonance Suppression Chambers” behind the drivers. These devices, developed with the aid of computer modeling, reduce resonances behind the diaphragms. You can see these odd-shaped objects in the photo with Yamaha’s Susumu Kumazawa. The NS-5000’s cabinet is made from birch ply, with the enclosure design developed in conjunction with Yamaha’s musical-instrument R&D lab. 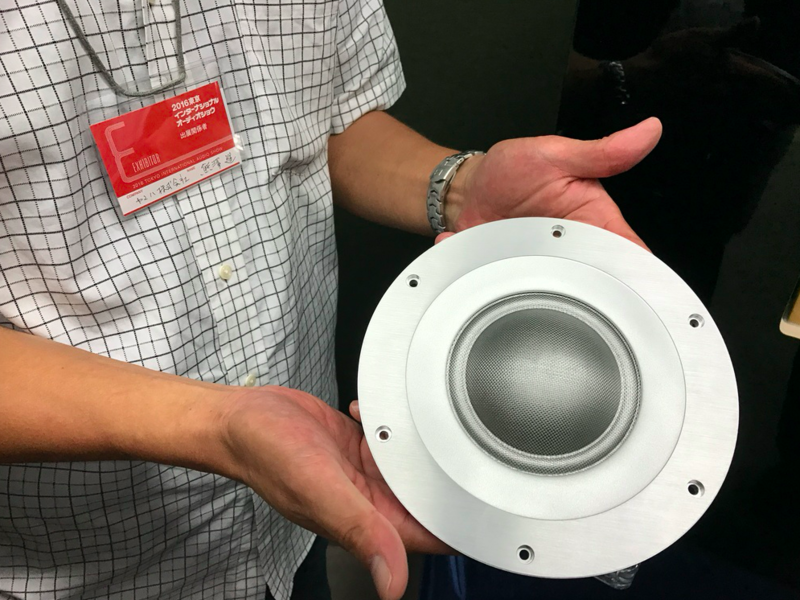 That lab routinely analyzes musical instrument vibration through laser interferometry. 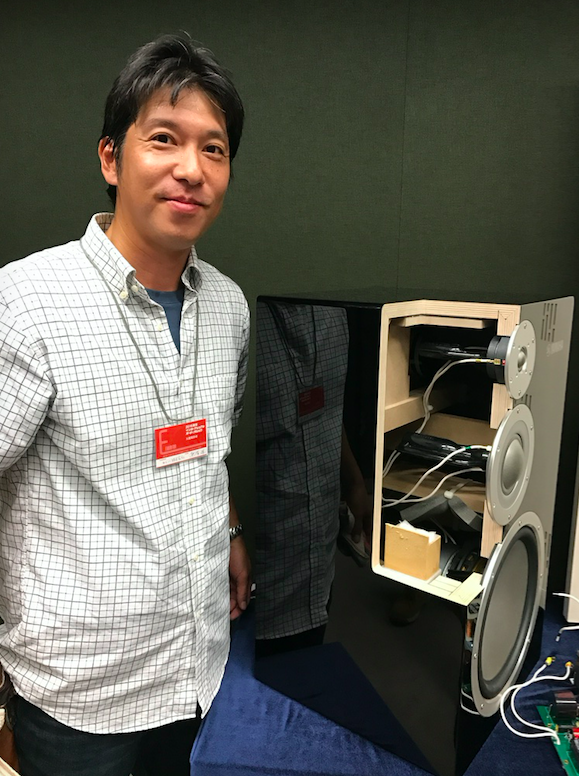 Yamaha claims that the cabinet exhibits extremely low resonance and very fast decay. The enclosure is painted in gloss black piano lacquer using the same materials and techniques that Yamaha uses on its grand pianos. Finally, the NS-5000 is fitted inside with a newly developed “Acoustic Absorber” that removes standing waves inside the box without the need for traditional damping. All this effort apparently paid off; the NS-5000 sounded superb in two different systems. I couldn’t get a good seat in either room, but even off-axis the NS-5000 had outstanding midrange clarity, purity, and openness. The sound was exceptionally uncolored, and didn’t seem like it came from two boxes. Dynamic agility was also excellent, with quick transient attack and no overhang in both rooms (one powered by Accuphase electronics, and in the other driven by Yamaha’s own electronics). The NS-5000 will appear in North America in 2017 with a U.S. retail price of $14,999 per pair including stands. 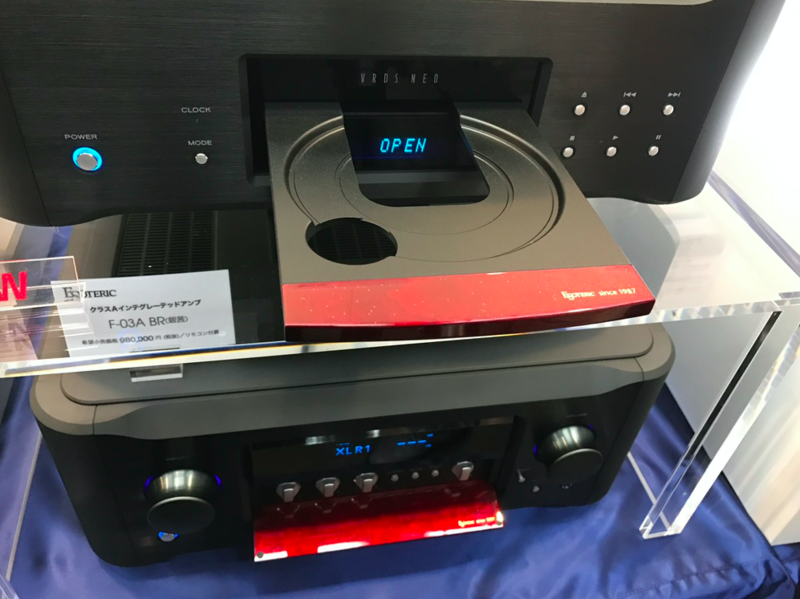 The vaunted manufacturer introduced six new products—the E-270 entry-level integrated amplifier, DP-560 CD/SACD player, DC-950 digital processor, DP-950 CD/SACD transport, and two power conditioners, the PS-560 and PS-1230. 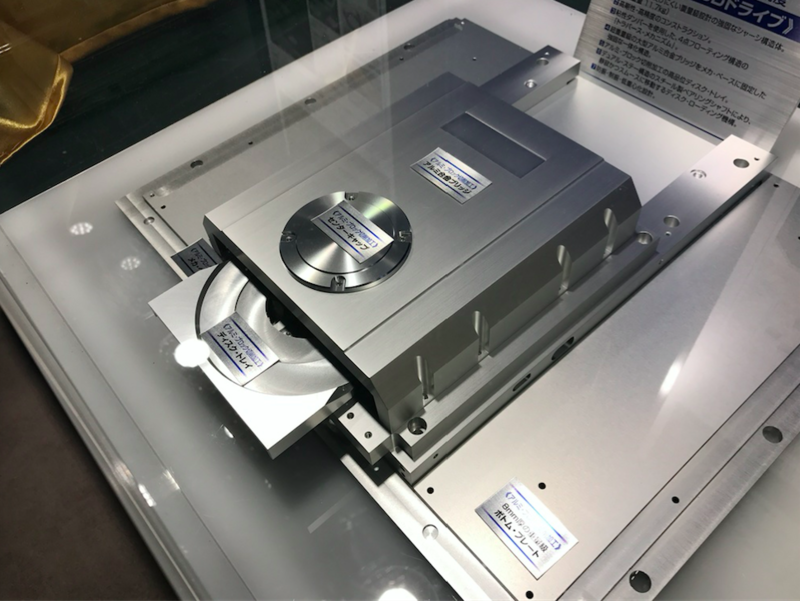 It may seem odd that a company is introducing a new disc player and, especially, a new transport in this age of downloads and streaming, but physical media still make up more than three-quarters of music sales in Japan. I saw this firsthand during a visit to the sprawling and vibrant Tower Records in Osaka (the Tokyo location is reportedly even larger). The store was well stocked with a wide range of music in diverse styles and formats (CD, SACD, LP). Accuphase has invested in supporting disc playback with the new fourth-generation of its custom CD/SACD drive mechanism. The company proudly showed off the massive internals (see photo). The mechanism is used in both the PD-950 transport and the DP-560 disc player. The player features four ESS 32-bit DACs per channel and a fully balanced output stage. A full complement of digital inputs allows the DP-560 to decode other sources. Accuphase’s proprietary HS-Link has been updated to carry PCM up to 384/32 and DSD up to DSD128. The HS-Link also carries the clock on a separate line, allowing a full Accuphase system to be controlled by a single master clock. 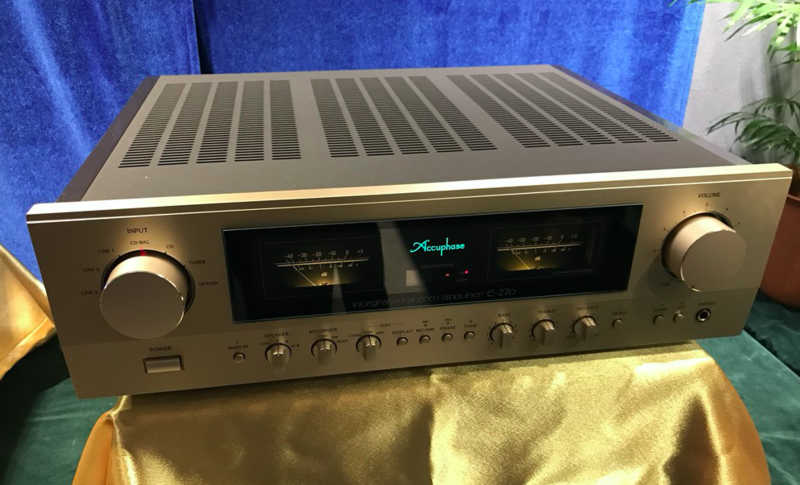 Accuphase’s new integrated amplifier, the $4500 E-270, brings the brand’s technology and sound quality to an accessible price. With the champagne gold finish, VU meters, and a full complement of controls, the E-270 sports the brand’s classic look and feel. This new model is rated at 90Wpc into 8 ohms, and features improvements in the power supply including bigger filter caps, new audio circuitry for lower noise (an astonishingly low 35uV), and double the damping factor (400) of its predecessor. The E-270 can be fitted with the optional DAC-40 board for decoding digital sources. Seeing the full line of Accuphase electronics up-close revealed just how beautifully built these components are. Constellation debuted an entirely new line of electronics in Tokyo, called Revelation. The new line slots in just above the “entry-level” Inspiration series, and just below the Performance series. The Reference series remains the company’s flagship line. Three products were shown in the Revelation line. First up is the two-box Preamp 1.0 linestage. This $18k product uses the same circuit topology as Constellation’s other linestages. The optional DC filter ($5k) can be added to improve the sound. The Stereo 1.0 is a 250Wpc power amplifier, again based on Constellation’s flagship products. The Mono 1.0 is a monaural version, with 500Wpc. Price is $19,500 per chassis. The Revelation series products are housed in the casework of the Inspiration series; the incremental cost increase over Inspiration buys you better parts-quality and a more elaborate implementation of the circuit. The first shipments begin later this year, followed soon by a Revelation series phonostage. It’s hard to believe, but Esoteric is celebrating its 30th anniversary. The company is marking the occasion in style, releasing limited-edition versions of several models clad in black casework and featuring exclusive Urushi finishes (Urushi is an ancient Japanese layered-lacquer technique). The anniversary models will be limited to 30 units each when they begin shipping in November. 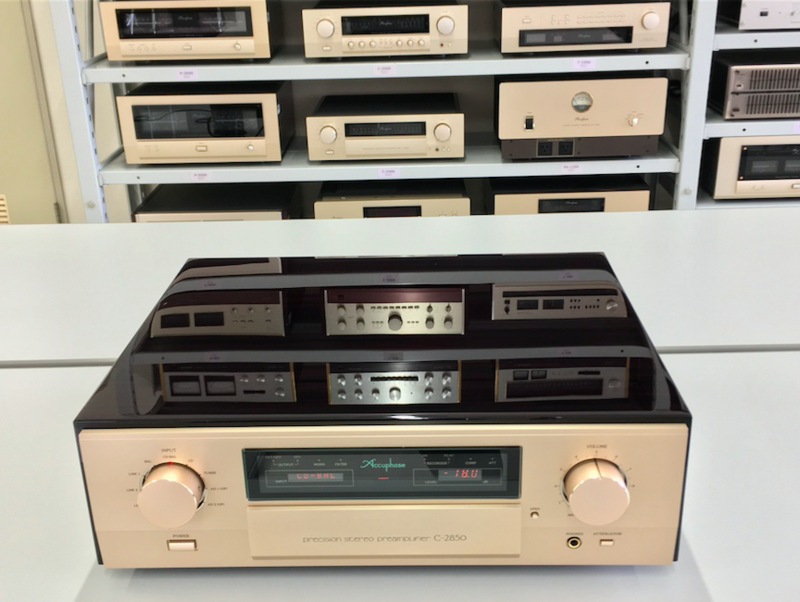 Models offered in the anniversary editions are the K-01X and K-03X CD/SACD players, and the F-03A integrated amplifier described below. Purchasers have their choice of two Urushi finishes, “Bordeaux” or “Oxidized Silver.” The Bordeaux finish, shown in the photos, was stunning. 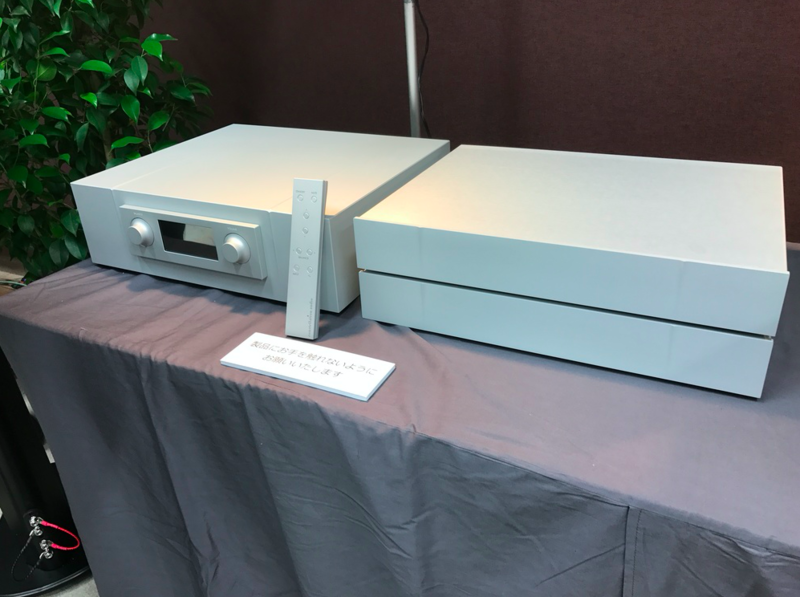 Esoteric also introduced three new integrated amplifiers, the F-03A ($13,000), F-05 ($10,000), and F-07 ($7500). The “A” in the F-03A model number signifies that this amplifier operates in pure Class A, delivering 30Wpc into 8 ohms (60Wpc into 4 ohms). Esoteric considers it the reference in the line. All three models feature similar design, features, and options. These include a built-in phonostage (hooray!) with both moving-magnet and moving-coil gain, the ability to accept an optional DAC card, balanced inputs, dual-mono construction, fully balanced preamplifier stages, a high-quality headphone amplifier, and control knobs with ball-bearing operation. The F-03A and F-05 even feature a three-band tone control (bass and treble controls in the F-07). Finally, all share the lavish build and stunning casework that have become Esoteric hallmarks. 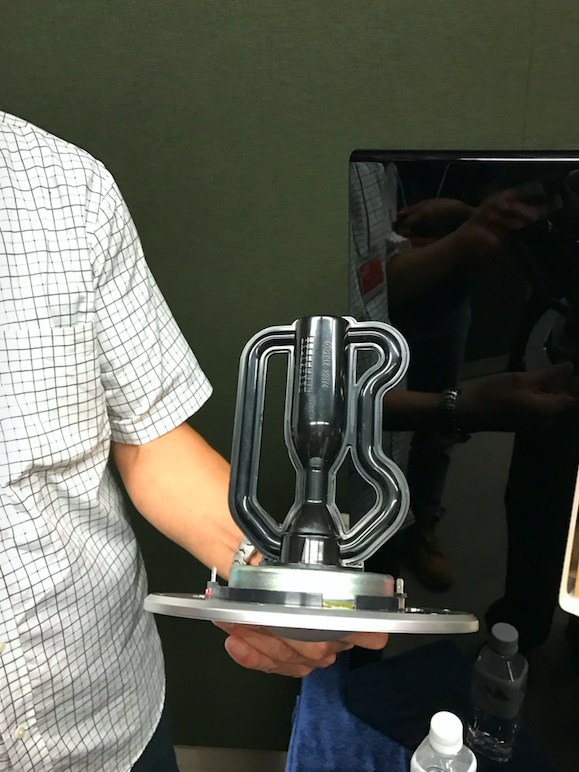 The Tokyo show was the venue for the official introduction of TAD’s new Micro Evolution One, a stand-mounted speaker that aims to deliver big sound from a small enclosure. I first heard a prototype of the ME-1K at CES last year, and was impressed. The speaker has only improved since then, judging from the demo in Tokyo. The small speaker played like a large stand-mount or even a small floorstander. It had a full bottom end, dynamic authority, and played loudly on demanding music without strain. You’d never guess that such a small speaker could deliver such big sound. The ME1-K features an all-new coincident driver that mounts a beryllium dome tweeter at the center of the 3.5" midrange cone. The tweeter’s response reportedly extends to 60kHz. The midrange driver is made from magnesium. TAD developed a new 6.25" woofer for the ME-1, made from laminated aramid fibers. The driver was designed for high power handling and long excursion, and is built around a titanium voice-coil bobbin. The woofer is loaded in a reflex enclosure with slit-shaped ports on both sides of the cabinet. Bass extension is rated at 36Hz, which is phenomenal for such a small box. The cabinet is made from a birch frame with an MDF outer structure. A pair of 4mm-thick metals panels cover the left and right cabinet sides to further suppress resonances. The ME-1K's US retail price is TBD. It will be distributed in the U.S. by MoFi Distribution.